BMW said its new 3 series will "move the game" in terms of driving dynamics. The automaker unveiled the seventh-generation of the sedan at the Paris auto show on Tuesday. The company said the sedan's signature characteristics such as design, agile handling, fuel efficiency and advanced equipment have been raised to a higher level through "tireless engineering and testing." 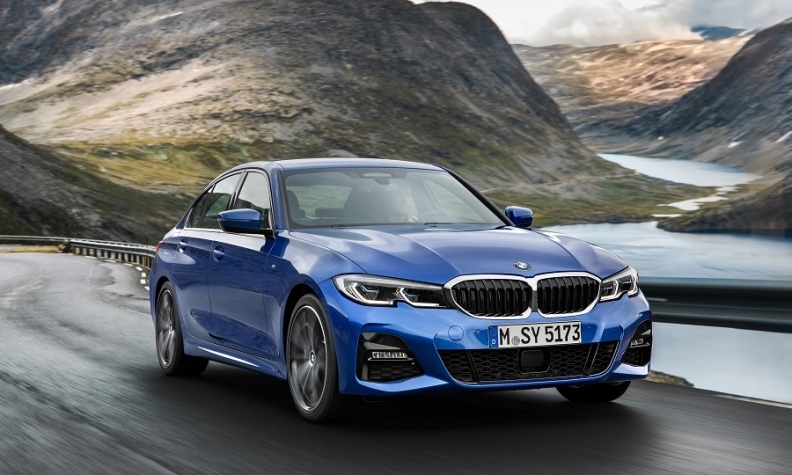 "We will prove the new 3 series remains the sportiest sedan in its segment," BMW development chief Klaus Froehlich said at the car's unveiling at the show. "The new generation is better in every way than before. It represents the BMW brand like no other car. It’s the heart and soul of BMW," he said. BMW engineers reworked the sedan's body structure and chassis technology to improve driving dynamics, handling, steering and braking performance. 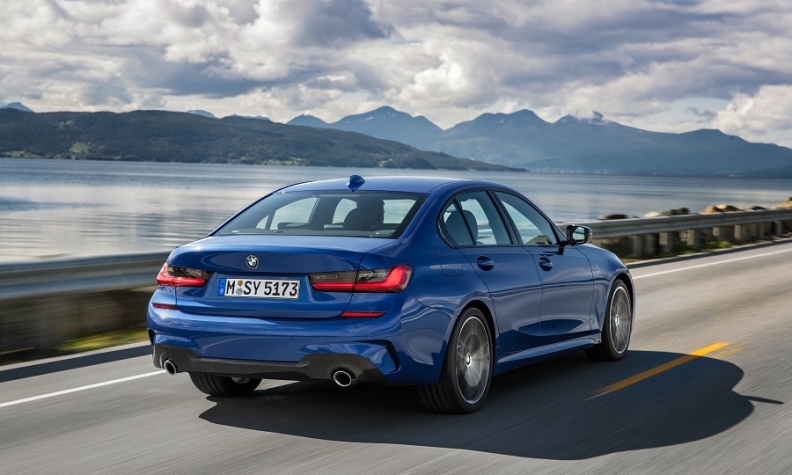 "The foundations for these attributes are provided by weight optimization, a low center of gravity, a perfect 50:50 front-rear weight distribution and, above all, by the increase in the front and rear track compared with the predecessor model," BMW said in a release. The 3 series' overall body rigidity has been increased by 25 percent, rising to as much as a 50 percent improvement in certain areas, BMW said. The car is the first BMW model to get a new shock absorber technology. The lift-related dampers that are part of the standard chassis improve sportiness and comfort to a level unmatched by rivals, BMW said. The 3 series' body weight was reduced by as much as 55 kg (121 pounds). The front spring struts and engine subframe are now made of aluminum, helping to cut the weight of the body-in-white by 30 kg (44 pounds). The new 3 series is longer, wider and taller than the current model, giving it dynamically stretched proportions and a muscular stature, BMW said. The car's longer wheelbase and increased track widths improve agility. At launch, engines in Europe will include a four-cylinder turbo gasoline engine in the 318i model. A 1.5-liter 3-cylinder gasoline turbo engine, expected to be badged the 316i, will arrive later. The sedan has tech gadgetry such as smartphone entry, auto-reverse and an in-car assistant that learns drivers’ routines. Drivers use their smartphone instead to unlock the vehicle and start it, by placing the phone in a wireless charging tray. The car will also be able to auto-reverse as far as 50 meters, helpful in confined spaces, by backtracking its exact path after recording steering movements. It will have improved driver assistance systems including optional active cruise control operational in a speed range from 0 to 210 kph (130 mph) that is able to brake the vehicle to a standstill, if necessary. The system’s sensors now register not only the vehicle immediately ahead, but the one in front of that as well. The City Braking function now also alerts the driver when a cyclist is detected as well as a pedestrian. The traffic jam assistant designed for use in stop-and-go traffic at speeds up to 60 kph (37 mph) now removes the need for the driver to touch the steering wheel every 30 to 50 seconds if the driver’s attention is clearly on the road ahead. The 3 series will go on sale in Europe and the U.S. next March. The starting price in Germany will be 37,850 euros while in the U.S. it will be $40,200 plus a $995 destination charge.